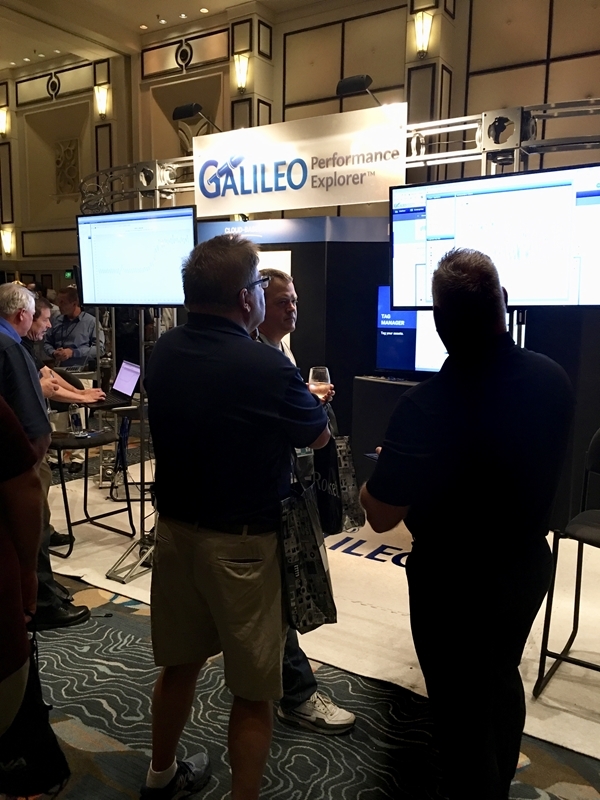 The most recent IBM Systems Technical University conference in Orlando was full of excitement and interaction for the Galileo Performance Explorer team. We had the privilege of participating as a Platinum sponsor for the event and hosting an exclusive VIP reception (#GalileoVIP) Tuesday night. In addition, we decided to take a new and innovative approach to informing people about Galileo’s technology. Sysadmins, engineers and capacity planners working with our performance management suite. We’ve all been to those conferences where vendors take several hour-long sessions explaining how great their technology is. They talk about what their solutions do without allowing end-users to experience first-hand how those technologies will impact their day-to-day jobs. As a contrast, we decided to allow conference attendees to actually work with our system performance management suite. The Galileo Performance Explorer SaaS offering was up and running on multiple workstations during the Solution Center. As attendees approached us, we asked them what their role was within their company. Were they a system administrator? An engineer? Capacity planner? We also asked them what sort infrastructure they were working with. Was it on-premises? A hybrid cloud? A public cloud? After answering these questions, we set up the suite to resemble the environments (running on IBM systems) they work with on a day-to-day basis. Our User Experience Architect speaking with sysadmins about their everyday challenges. We didn’t just want to showcase our performance management suite. Kim Stillwell, our User Experience Architect, engaged the folks by participating in our UX research acitivities to figure out what sort of problems they encountered every day. What did we learn? 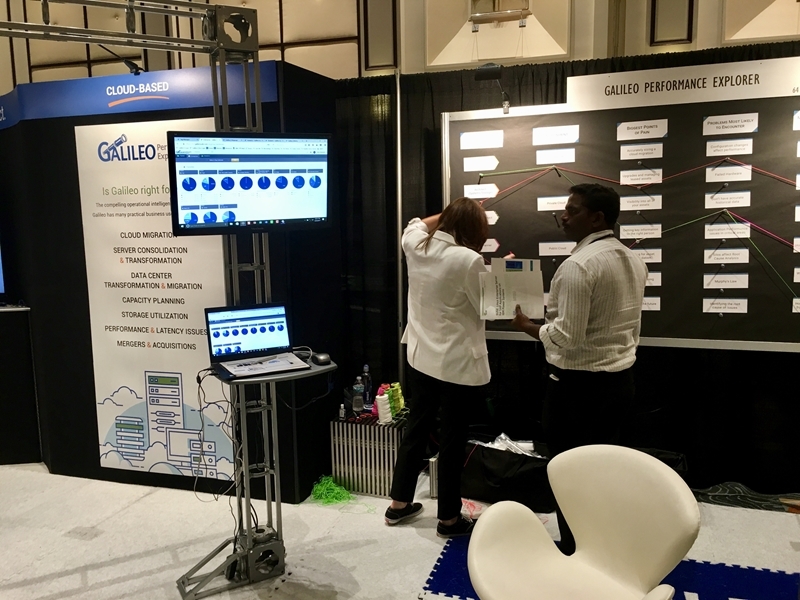 Kim and the rest of the Galileo team found that many conference attendees were concerned about capacity planning and want increased visibility into all of their assets – servers, storage, SAN and applications. Getting this feedback is huge for us, as we can use it in upcoming development releases. If you want to trial our software, or just take the opportunity to work with some really cool IBM systems, there’s another Technical University conference coming up in New Orleans. The event will run from October 16 – 20. Hope to see you there! Can’t wait for New Orleans? No problem! We’d love to get you set up with a free 30-day trial today.